Brazilian Cherry Hardwood Flooring, also known as Jatoba, is one of the most recommended exotic hardwood flooring products to date. 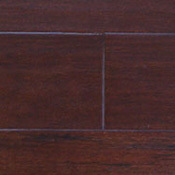 Brazilian Cherry is one of the most recommended because of its long-lasting hardness and durability. 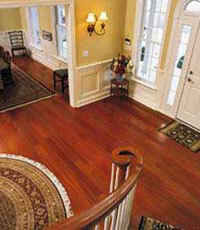 Here we have some information you should consider when choosing a Brazilian Cherry Hardwood Floor. 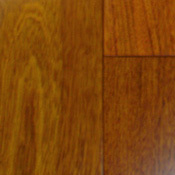 Brazilian Cherry is one of the hardest wood flooring products in the world, so it is extremely resistant to denting. 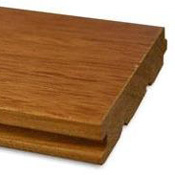 The Janka Hardwood Hardness Scale rates Brazilian Cherry a 2820 out of 4000, so it nears the top. The hardness of this wood is both a blessing and a curse because Brazilian Cherry can be very difficult to cut and shape without sharp and sturdy tools. 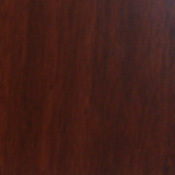 A Brazilian Cherry nail down installation may require pre-drilling to install correctly. Because of its hardness, this type of wood flooring is the perfect choice for both commercial and residential settings. 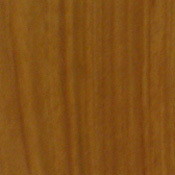 Brazilian Cherry is made to have a rich reddish/brown color, and some contain black lines. Be sure to remember when making your hardwood flooring choice that hardwood changes color over time, so don't be suprised when a spot in front of a lighted window changes color. Be aware that your new Brazilian Cherry Flooring will darken dramatically for the first three months after installation. Brazilian Cherry has a natural finish, but sands and finishes easily if you want more finish on your flooring or need to refinish it. 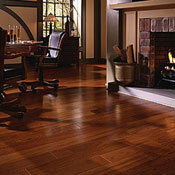 We hope that you will consider this information when making your choosing your new hardwood flooring. These are some Brazilian Cherry Products we offer.